Are you also asking, what is the Vivatic? Do you want to know if it is a legit survey site or just a scam? Have you heard of it when you are looking for an online job that pays you extra money? Are you curios if Vivatic surveys can help you earn some extra cash? Well, I suggest that you read this review in order to learn more about it. Vivatic is a survey company based in London that provides a valuable and well-organized service that connects its members with legitimate surveys and jobs from different other companies. They offer flexible freelance jobs that pays for every surveys, articles and reviews that you have done. Actually there are three things that they offer to there members. First, you can earn real money in your spare time. Even if you are just on your bed or it is still commercial break on your favorite tv show, you can definitely do the survey anytime. Second, Your cash out will be through Paypal which makes the money transaction easier. And Lastly, it is 100% free to use. In this review, I will take a closer look on Vivatic and determine whether this is a scam or not. I suggest that you read the entire review before joining in it. After you sign up for your free account you will be directed to the vivatic homepage. And when you click the My account on the upper right side, you will be directed to this page. Basically like any other survey sites, you will see on your my account page all your details in vivatic. Your account balance will show the total payments that will be given to you. You need to register your Paypal account in vivatic so that you can complete a transaction with them. The minimum required payment is £20.00. However if you notice in the payments part, there is the expired balance. Vivatic says that for over 2 months that you are inactive and does not complete an action or job your account will be cleared. In vivatic, there are wide variety of online jobs that you can do. Vivatic pays for your opinion. They have established strong connections with lots of market research firms who seeks opinions and insights from the people. So the survey that they offer is everyday and it all came from market researchers. Basically you will be paid for your time given. The average pay per survey is £ 1 and it takes approximately 10 to 20mins. These are the two new ways to earn in vivatic. You can be get paid £0.10 for every 10 polls you take and you can also get entry from daily, weekly and monthly competitions. However their poll is only once in a blue moon. So if you think about it, it is almost none. You can also start a task to finish. The first tasks that will be given to you will definitely take much of your time since you are still trained by the company. But after your training, the next ones will just take fewer time. Each task is paid separately. It seems convincing right? However, the task is not present all the time. So your chance of earning will be lessen. Vivatic also commission people to write articles. The article should be of high and standard quality based on the criteria of the company. They usually have a wide variety of articles to write. The average pay per article is £10 and takes approximately 1 hour to research and write. But if you think about it, not all of us can write an article in just an hour right? Most especially if it needs to be in high quality. If you are a good writer then it is your advantage, but for those that is not that good, It will actually take some time to finish one article. By the way, you can’t participate in writing jobs if you haven’t completed 20 high quality level tasks. Another way in earning in vivatic is through referrals. You can make £2 for every friend who signs up. But you can just get the payment if your friend also earns £10. It is just free to join in Vivatic. That is the advantage for survey sites because there is no membership fee. In all honestly, not that much! Let’s make a little computation on how much you can earn in a day assuming that you make it as a full time job. So in one day you can work for 8 hours or 480 minutes. If you divide 480 minutes by 20 minutes which is the maximum average time you answer a survey, you can take 24 surveys per day. And each survey is paid approx. £ 1 , multiplied by the number of surveys, You will earn £ 24 a day. Let us add the payment for the tasks that you will make. Each task is paid £ 0.40 on average. 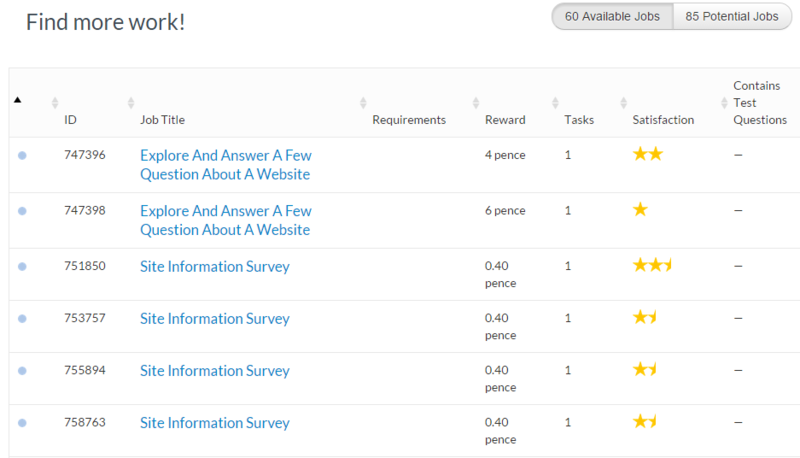 So let us say you have made 10 tasks in a day, you already earned £ 4 . Let us also include the polls, writing job and referrals you have made. 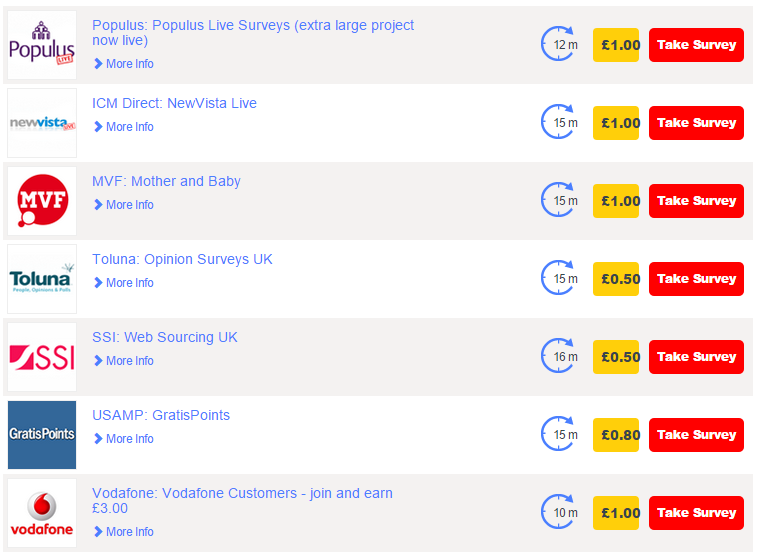 Assuming you made 50 polls, 1 article and made 2 referrals that also earned £ 10 you will get paid by an additional £19. So if we will sum it all up, 24+4+19 = £47! But this amount is only true if you qualify in all the surveys you take and spend 8 hours a day which is somehow hard to accomplish. So this means, that your earnings should be lesser than this. Here are some of the concerns that I have about Vivatic. One major disadvantage of survey sites is it is not a long term investment. You maybe earning for now but it won’t earn you a living. On the other hand, It can still be a good source of extra income. If you are still in doubt if Vivatic is a scam or not, then let me tell you is a vivatic is legit. It offers opportunity for you to earn extra income. One good thing about it is that you can do the survey and tasks at home where you are close to your family. Plus you also have the ease of not getting scolded by your bully bosses. However, if you think about it, It is really not applicable if you want to make it as a full time job. There are plenty of online jobs out there that is more worthy of your time and effort. And as per the computations that we have made, even if you work on it 8 hours a day, it will still not enough to earn you a living. Are there other ways to Earn Online? I know that you want to try Vivatic because you are hoping that it will be the answer to you financial problem. Unfortunately, this is not the best way to earn extra income. Actually, I have also thought the same way as yours before. I thought that survey sites will help me ease my problem when it comes to money. Plus I was also convinced with their promise that I can earn more by doing less. But it is all a lie. I have to answer more surveys if I want to be successful. I don’t mind doing all the hard work but the payout that they give is also disappointing. That’s why I quit in it. Right now, you maybe asking, how can you really earn at home? My best suggestion would be making your own online business. Basically I you make your own online business and earn passive income from it. Right now, I am on my tenth month using the program and I am already harvesting the fruits of my labor. If you have more questions, concerns or prior experience about Vivatic, feel free to comment it below and I would be happy to help you. More reviews on sites that are not worth the time investment. It is clear that Vivatic could be something to do in your spare time, but you cannot expect to gain much at all. Vivatic is a legitimate company however, you could more than likely never be able to achieve a full time income. Affiliate marketing is probably the best around to seriously earn money online. Wealthy Affiliate is great source for the right steps in the affiliate marketing industry. This is a great review of Vivatic and what it is. Not only have I heard of it, but I’ve also heard negative reviews myself. This is another great asset to the net. Truthful reviews like this one resonate and lead people down the correct path. I see you have chosen Wealthy Affiliate and I look forward to joining you in the journey. Good luck and thanks for the heads up! Having an unbiased review is very crucial in helping other people choose the right business opportunity for the. As for the Vivatic, it may seem good but it is not the best. You mentioned about, wealthy affiliate. Have you already tried this program? How was it so far? To be honest this sounds like about a million other reward sites out there at the moment…and not many of them end up being sustainable. It’s strange because all they have to do is follow the success of Clixsense…but not many of them do, and therefore fail. This sounds legit but I have my reservations on how long it will be staying around! You are right men. 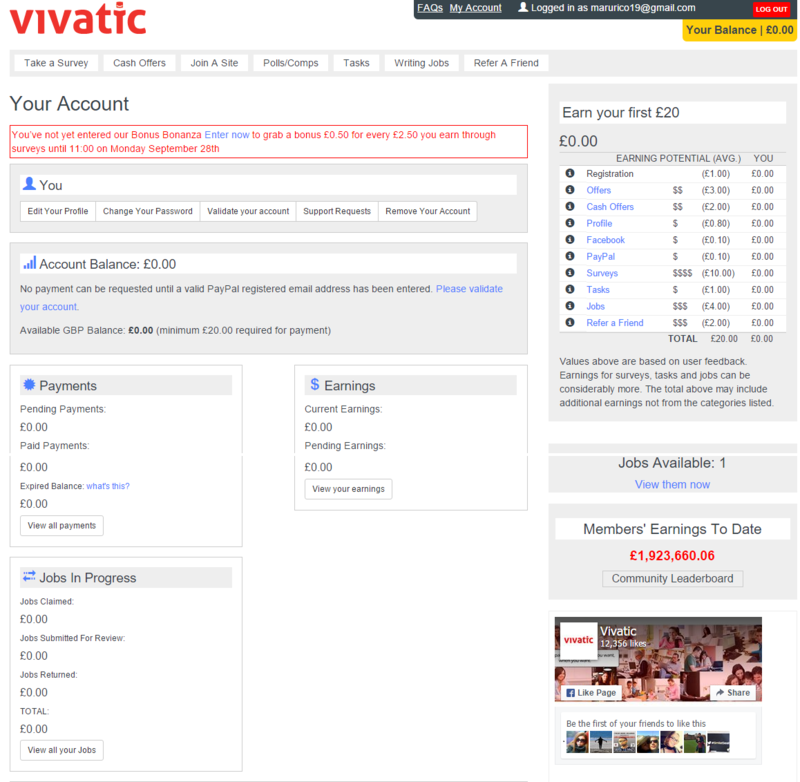 Vivatic is also a paid to click site wherein you will earn by completing surveys and tasks online. Although this can give people some money, this is definitely a sustainable business. You have to keep on working and working everyday and give so much time into it before you can earn a decent amount. So have you tried joining in survey sites before? Hi John, nice post you have there. I find it very useful and very informative. The one thing I notice nowadays is that there are so many membership programs that pays pennies. It can cost quite a sum to join but they just pay back members in pennies. Thanks men. It is good to know that I was able to provide relative information about the programs you are doubtful of. You are right, there are so many survey sites that doesn’t pay that much but demands so much work for their members. That’s why I quit in this kind of online job. However, the good side is this programs are just free to join. Like in VIvatic, it is just free to start answering surveys, but then, the problem is the payout they give is not that high compared to other business alternatives out there. So you are asking of a recommendation. Hmmm, I suggest you can try with affiliate marketing. Have you heard of Wealthy Affiliate before? 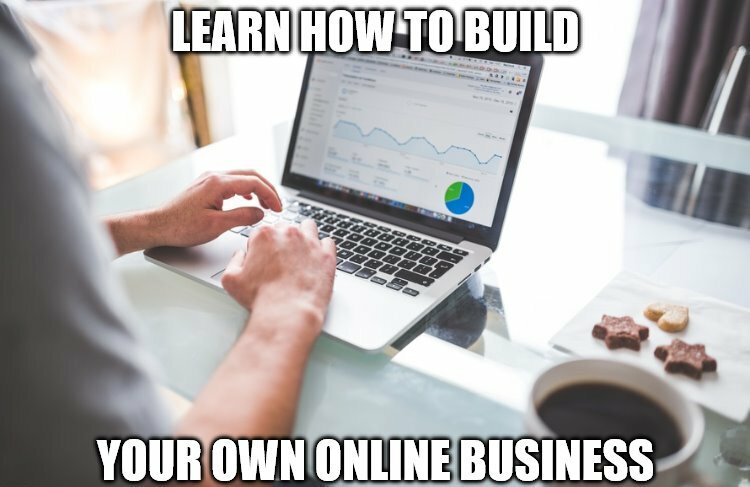 Actually, it is a training program that teaches people on how to build their own online business. Maybe right now, you are hesitant to look at it because you maybe thinking that it is complicated. But let me tell you, I myself doesn’t know anything about it before but I was able to understand the process after I tried it. I didn’t hesitate to join in it that time because I have nothing to lose because it is just free to join. That’s why right now, I didn’t regret my decision of trying things out side my comfort zone. Vivatic seems to fall in line with the rest of the companies that have that legit but ultimately time wasting appeal to them. While you can make money via Vivatic, the effort it requires will be cumbersome, and one can do better with their efforts. I would definitely recommend Wealthy Affiliate as a much better platform to learn from and earn money. Although Vivatic is legit, it is really a time consuming way of earning. Actually, it is okay to invest time in taking surveys online but you should also consider how much you get in return. If you have read my review above, you will see how much you can really earn with one day of doing surveys online. Even if you will spend 8 hours a day, you will not get that much because of some factors. One factor is the difficulty in qualifying for surveys. Most companies have a distinct qualification that they look for in their surveyors. This means that they are strict with the demographic information that they want from you. So, even if you are already in the middle of your survey, but did not provide the required answer to the question then you will still be disqualified. Now that is frustrating. I believe that if you can spend 8 hours a day answering surveys for just cents, you can also spend this amount of time in affiliate marketing where you will earn much more. Have you ever heard of affiliate marketing before? Thanks for this unbiased review of Vivatic. I have one question for you. Is it easy to take the surveys or are there any requirements? One time I registered to a website like this and they asked for some personal details to see if you qualified for that particular survey. Actually it is easy to answer the surveys. The hard part is qualifying in one. This is because most surveys requires specific information from its surveyors so if it happens that you don’t provide them with the right answer then you will immediately disqualified from the survey. There is no major requirement for surveys that you take. For some, they need its members to be a united states resident, and for some you need to be 18 years old before you can start. I have also the same situation as yours about the personal information that they require. For some surveys, they will need not only your name but also your credit card information. This is somehow too personal because this is a confidential information that only you should know. So if it happens that you encounter surveys that needs your credit card number, don’t give it and proceed to the next survey to take. Or better yet, find better alternative in making money online like affiliate marketing. Have you ever heard of it before? Wow, nice Vivatic review. Have you ever tried it yourself? The truth is I’m really thinking of looking for an online job such as this one to be able for me to cover up the 47 dollar monthly membership fee in WA as I’m building my site. But I don’t wan’t to work on it for 8 hours a day. I just want to work on it until I got like 47 to 50 dollars leave it be until the next month. It is sad that your points or earning can expire. I have had cases with other survey panels where I did not get a survey for more than 4 months. How can one then be active if you do not get a survey? Vivatic is not bad but I would not take that chance. On the other hand they also have a low payout of Â£20. It is really frustrating to not get frequent surveys, most especially that you need more because the payout is just small. With Vivatic, it is definitely not that bad however if you think of using it as a primary source of income then it is not the best choice. I know that people are easily lured in this type of get paid to sites because the tasks are just easy and simple to complete. They don’t realize that time is also important in choosing a business to start on. If you are getting paid not that enough for a work done in a long period of time then you should start thinking of finding an alternative. Have you heard of wealthy affiliate before? Great review on vivatic and the money opportunity that you can earn daily. 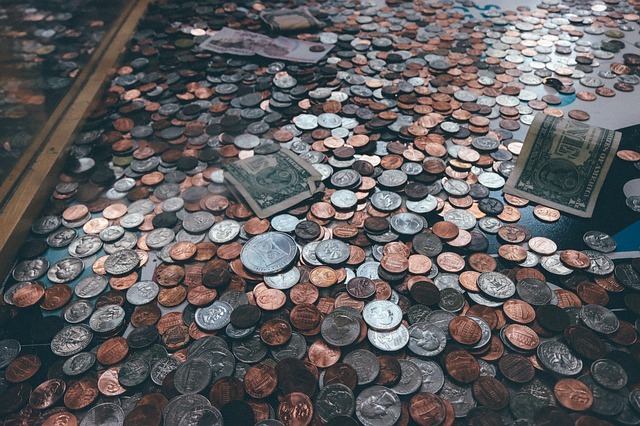 You can still make bits of income with survey during your spare time. However, if you do have more time and willing to put in extra effort, you can build an online business. I agree that Wealthy Affiliate can help you with that. 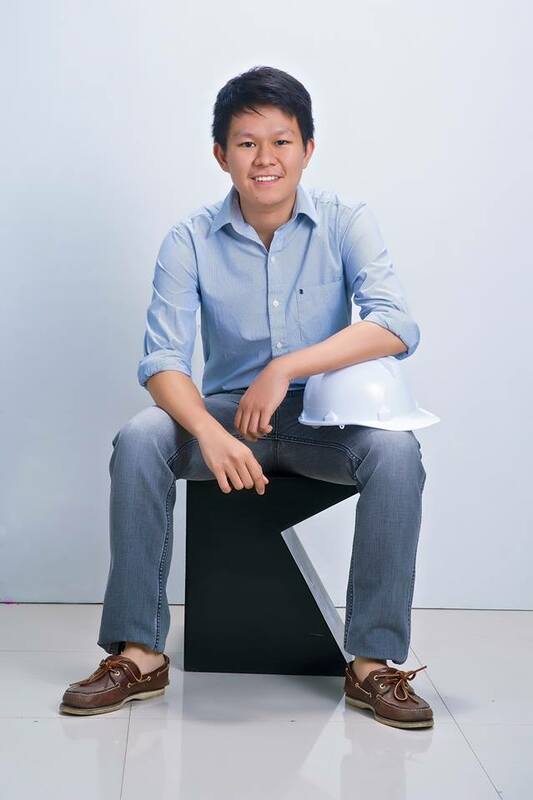 I agree with you that even if vivatic can still earn you some extra cash, it is not enough to fulfill your expectations from earning online. So how long have you been in wealthy affiliate? very honest and well-written review about what is Vivatic. Because Wa is not, get rich fast method, I started to do some surveys (not Vivatic) in order to get even some money (I am unemployed) but I got quite frustrated because often after spending some time answering a survey I got notice that “sorry, you are not the person we looked for this survey” so only time spent but nothing gained. Does that happen also with Vivatic? One thing got me confused when reading your review. Are you really saying that 47 GBP is less than a minimum wage?! Wow! then I think I am going to start to make some surveys again and if I can really earn even those 24 GBP I can tell my husband to quit his lame job and start making surveys as well because he is earning 28 euros ( about 21 GBP) a month for 9 hours a day! Yes, this is how we live in the “beautiful” city of Naples in Italy. How long have you been a member of wealthy affiliate? Actually I am just in my fifth month and everything is going well. Honestly, I didn’t know that the training is good, but it is. Even though I didn’t know much about making my own website, I was able to understand the steps that they have given. By the way, Thanks for raising a point about the earnings you can make using VIvatic. The 47 GBP is just a sample earnings that you can have assuming that you spend 8 hours a day in surveys and you qualify for all the surveys you take which is completely hard to do. It is not always that you qualify for survey. Most of the time, it is just 2-4 surveys a day that you can complete. And besides, even if you spend 8 hours a day in surveys, your income in your day time job is still much bigger compared to it. That’s why I still don’t recommend survey sites. One major reason is, your hard work is not compensated enough. So how is it going with wealthy affiliate? Do you have any income already?